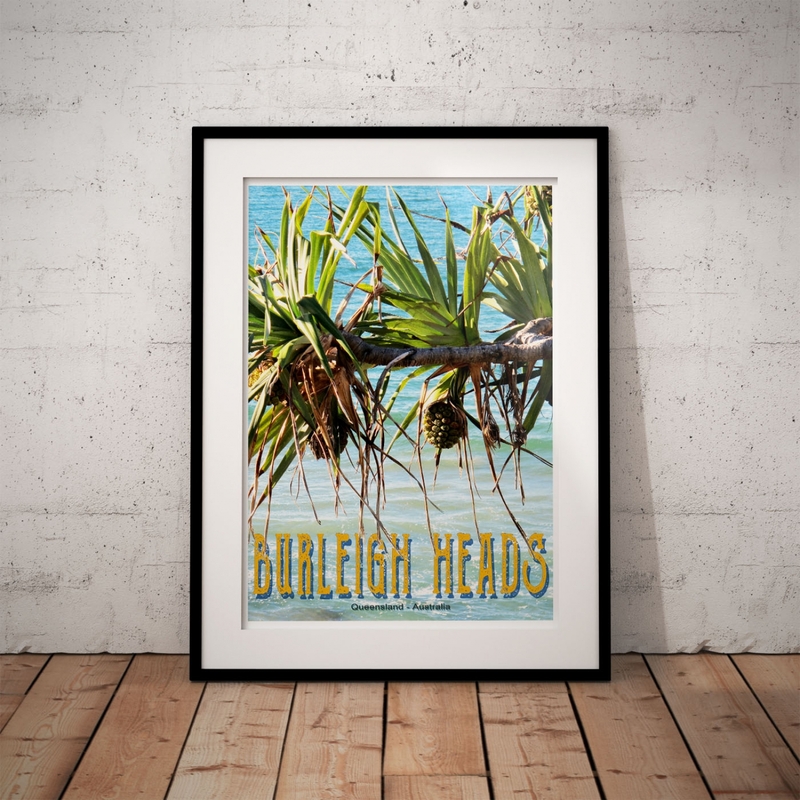 The Burleigh Headland was first established as a public reserve in 1886. This is the only rocky headland on the Gold Coast that has remained its natural state. Gold Coast, Queensland history goes back to prehistoric times with archaeological evidence revealing occupation of the region by Australian Indigenous People for at least 23,000 years. 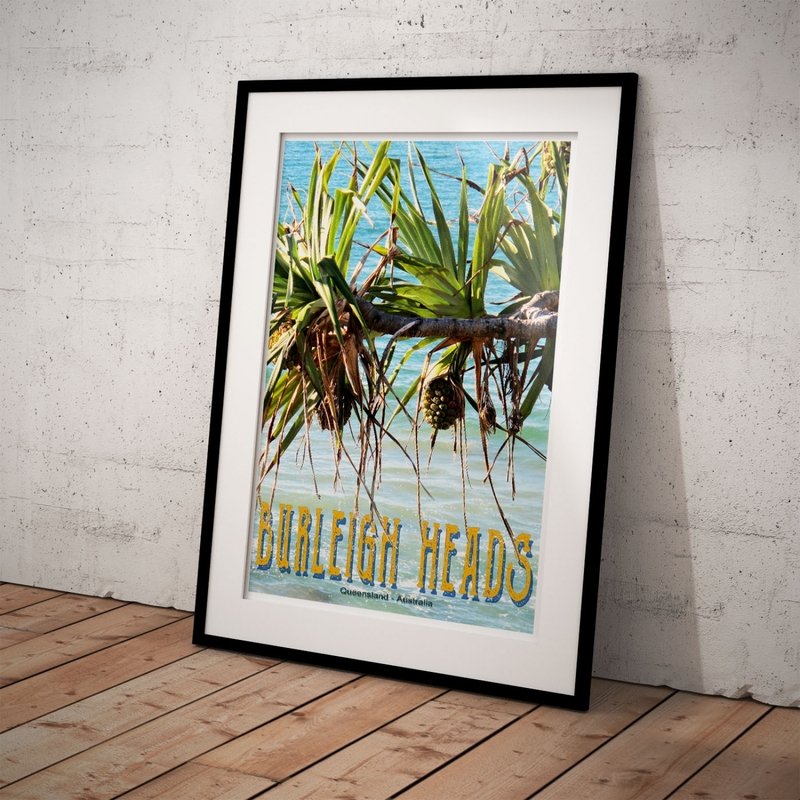 The Gold Coast is situated on the land of the Yugambeh people who lived mainly in the area near Bundall, near today’s famous Surfers Paradise. The Cascade Gardens near the now trendy Broadbeach, is believed to be one of the meeting places where People travelled hundreds of kilometres to attend ancestral ceremonies and feasts were held at Bora Rings and Middens. Captain James Cook was the first European to visit the Gold Coast when he sailed past in May 1770. He named Mount Warning and charted the extinct volcano as a natural beacon for a hazardous reef off the mouth of the Tweed River in the vicinity of a rocky outcrop he named Point Danger. European explorers started to arrive in the late 1700s, settlement soon followed throughout the 19th century, by 1959 the town was proclaimed a city and today, the Gold Coast is one of the fastest growing cities in Australia. 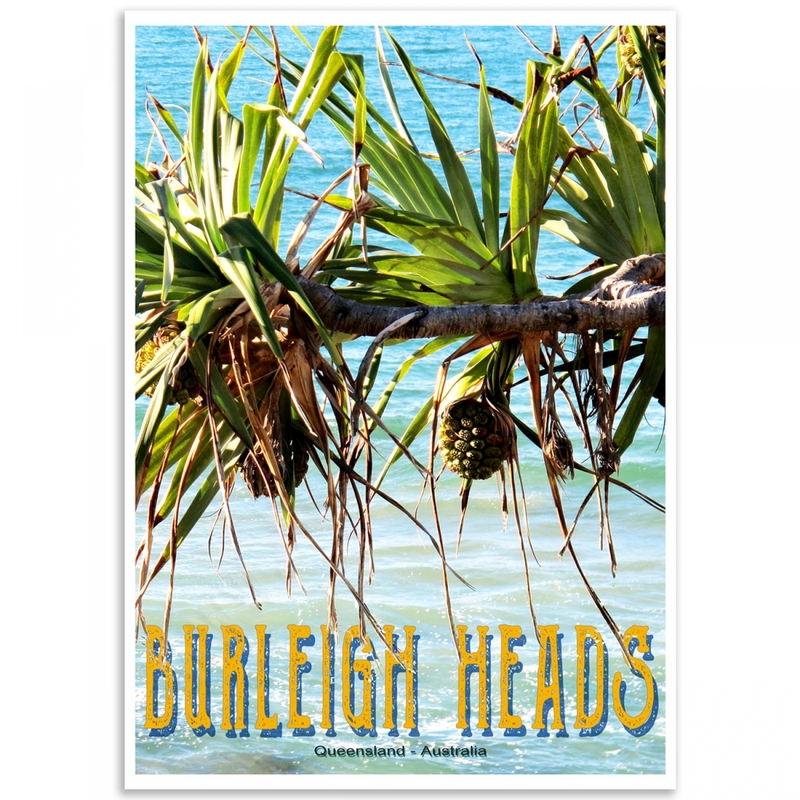 The Burleigh Heads Headland Park provides a popular recreational and is an important educational location for the many local and international visitors. 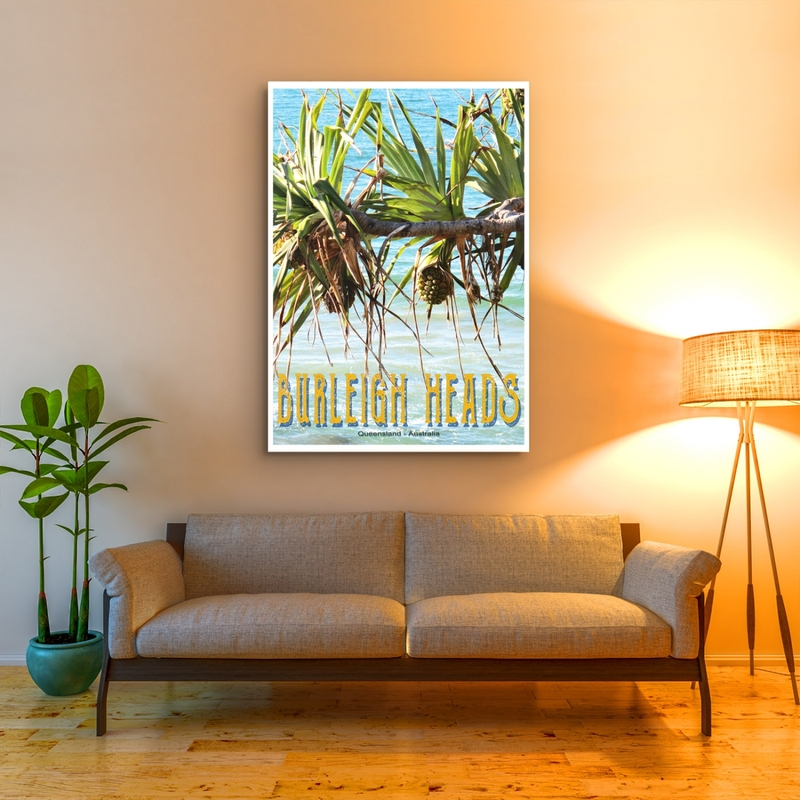 The 'Burleigh Heads, Pandanus' Poster is a reproduction of an Original Photograph. 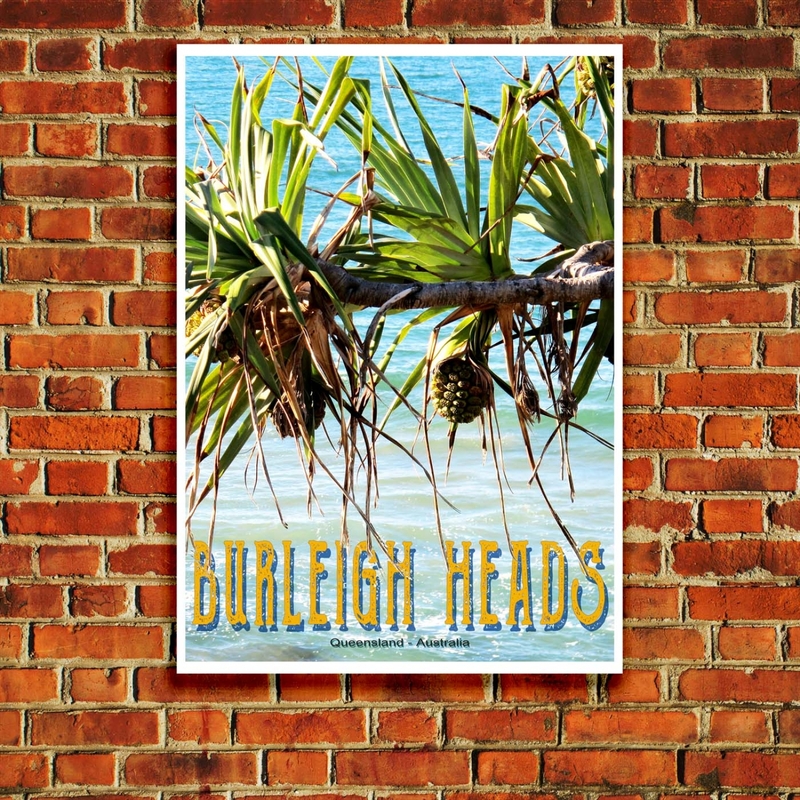 Click here for more Queensland Posters.